I will guide you how to use the shopping cart. Please order them in reference to the following. 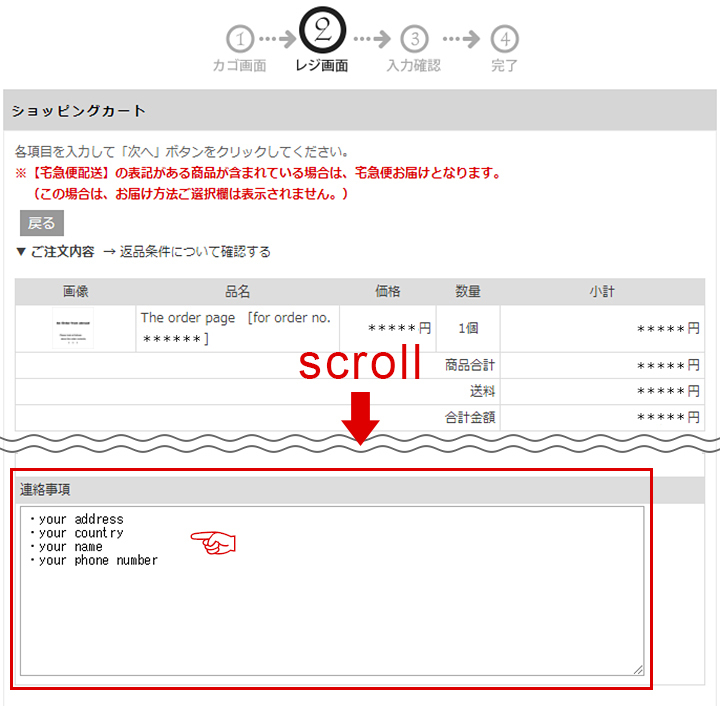 About login name & password, we guided you by an email. 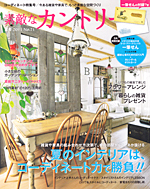 About the area of 《▼購入者情報》, please enter the following contents. ■お名前　：　Please enter your name. 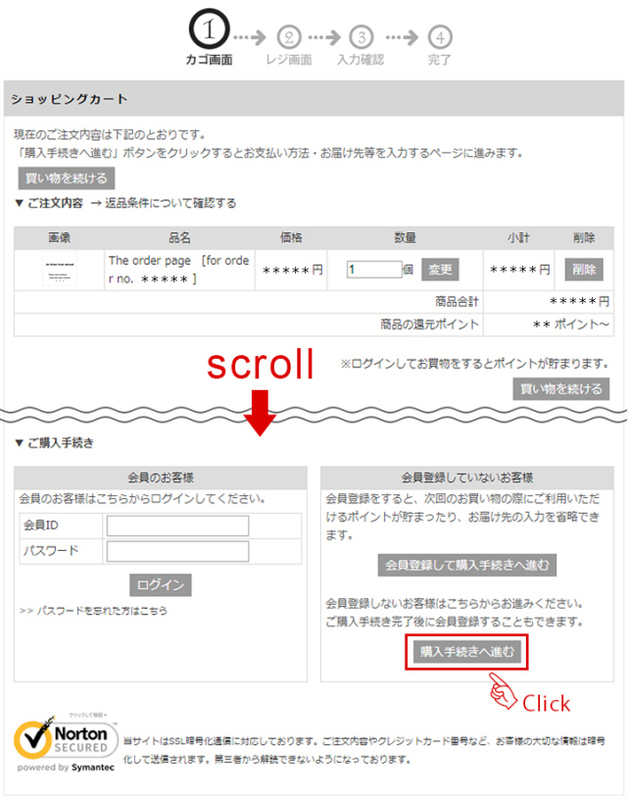 ■電話番号　：　Please enter your phone number. 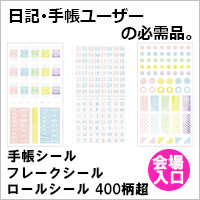 ■メールアドレス：　Please enter your e-mail address. 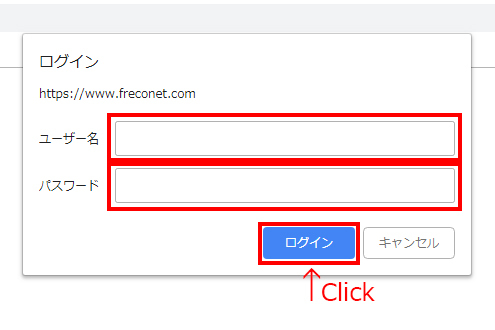 Please click 【クレジットカード決済】 of 《▼お支払い方法選択》. 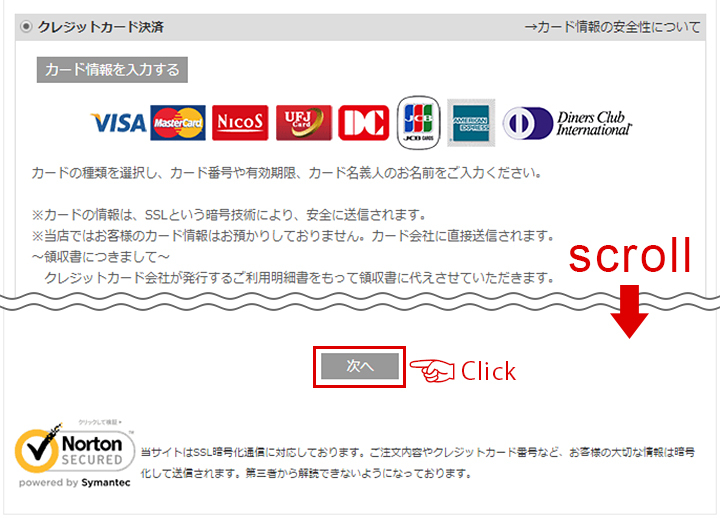 Please input your credit card information. ・カード会社（your credit card company）：Please choose your credit card company. 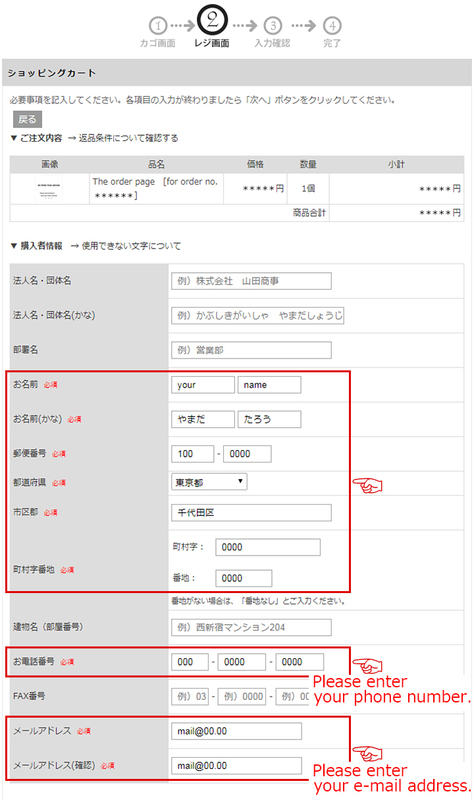 ・回数（payment number）：If you hope for lump sum payment, please choose "1回払". 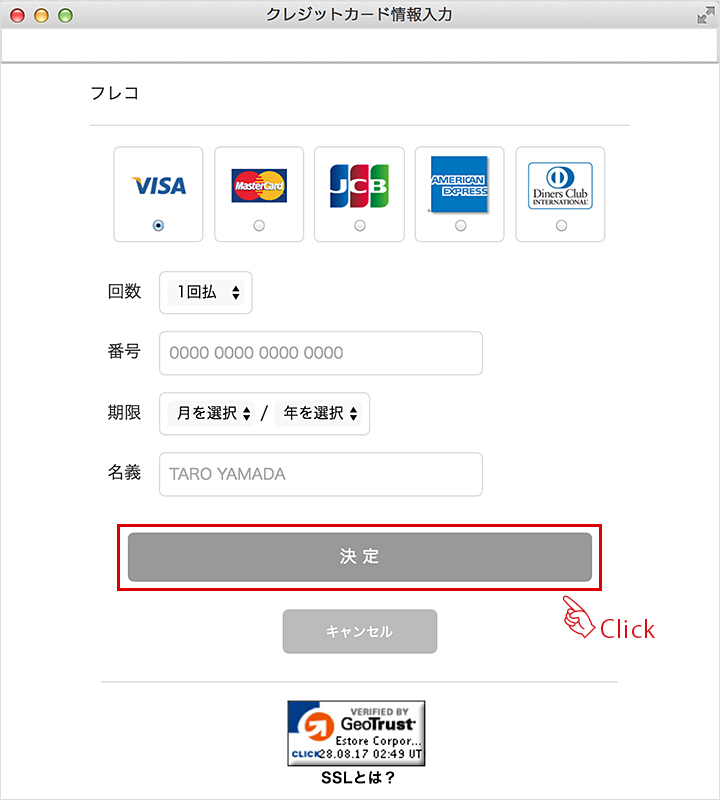 ・番号（card number）：Please enter your credit card number. 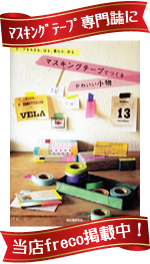 ・期限（expiration date of the credit card）：Please choose the valid date for your credit card. ・名義（name on the credit card）：Please enter name of your credit card. 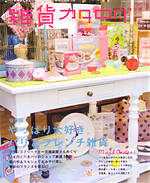 Please enter this following items in the space of 《連絡事項》. 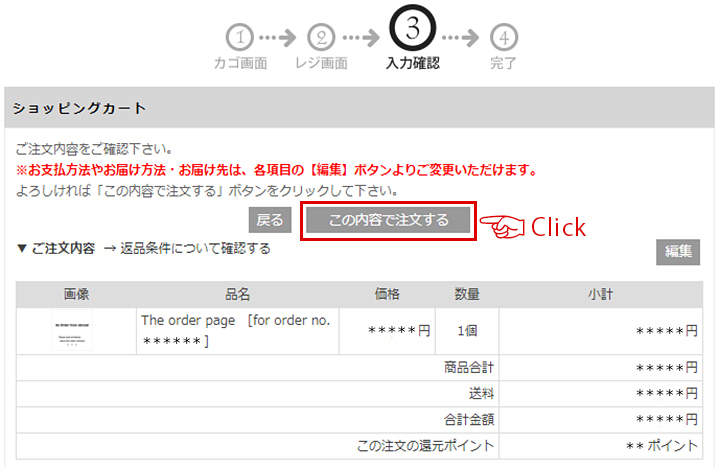 ※【この内容で注文する】 = I order them by these contents. The procedure is complete. Thank you. If you have a problem, please contact me. Copyright (C) 通販ショップ フレコ All Rights Reserved.